Several members of the Hedin lab recently traveled to Newark OH to attend the 2014 American Arachnological Society meetings. Thanks to Andy Roberts for hosting a very nice meetings – superbly-organized, many great talks. 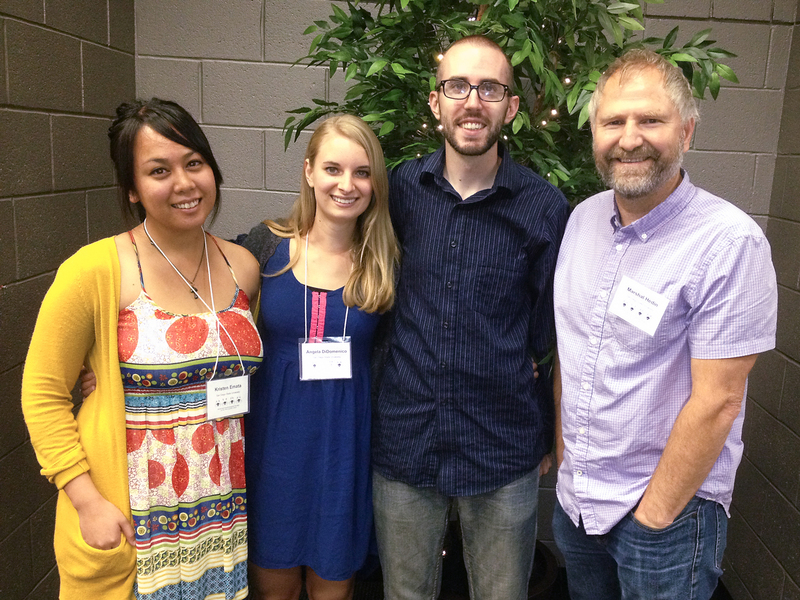 Master’s students Dave, Kristen & Angela all gave excellent talks – thanks guys for your hard work and preparation! Despite tough competition, Kristen was able to win First Place in the Student Talk competition! Kristen seemed quite surprised, but I wasn’t – she gave a very calm, precise, data-rich presentation. 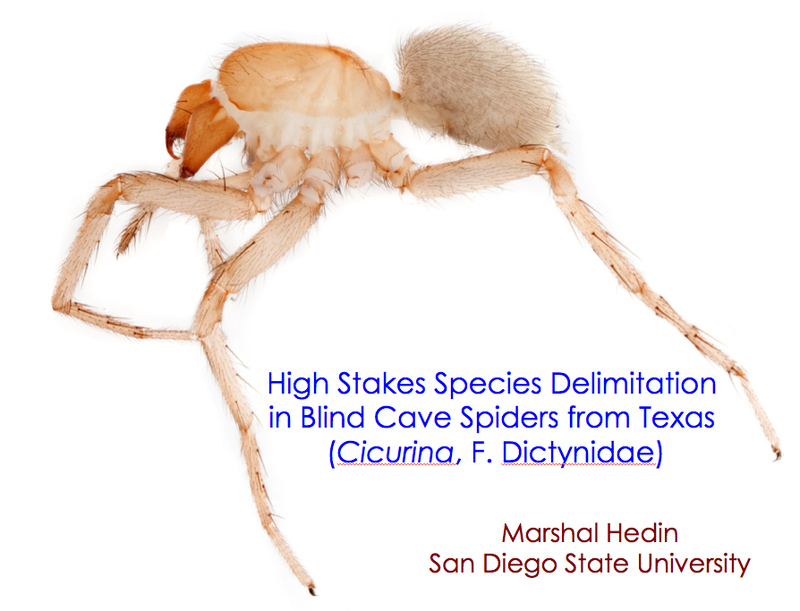 I gave a talk on multilocus species delimitation in TX cave Cicurina, results from research recently funded by the US Fish & Wildlife Service. Currently working on the manuscript, so stay-tuned for this interesting story! After the meetings I traveled through southern OH, western WV, and eastern KY collecting Laniatores harvestmen. Check out my Flickr stream to see photos from that reasonably-successful trip (bottom of Appalachians set). Way to go Hedin lab, and congrats Kristen! More great students!! Great going, Marshal! Sorry, but I’m not very talkative now. My mother was in hospital and is not doing well at all. Needs intensive care at home. I’m scrambling to do what I can.